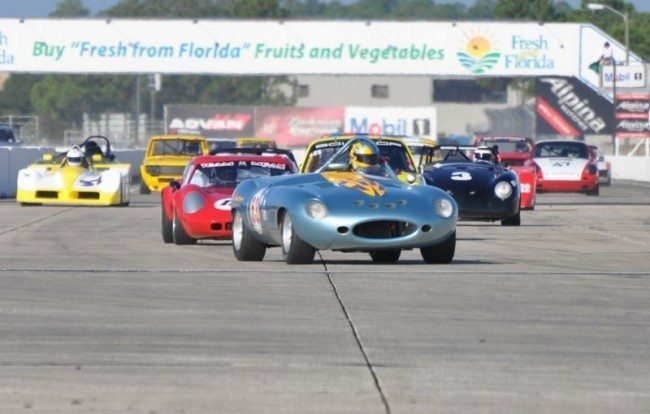 Our good friend Pam Shatraw from the SVRA sent over this exciting news about the US Vintage Gran Prix at the Fernindina Beach Airport near Amelia Island on March 17-20, 2016. Heacock Classic will be onsite – hope to see you there! 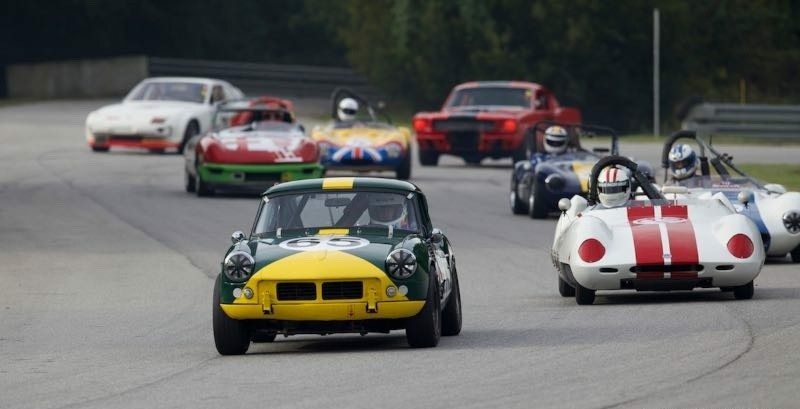 The Sportscar Vintage Racing Association’s inaugural Amelia Island Vintage Gran Prix at the Fernandina Beach Airport pays tribute to the early sports car tradition of racing on airfield circuits. Once very popular racing venues, especially in the Southeast, airfields were a haven for speed. The Amelia Island Vintage Gran Prix marks a return to racing on the Fernandina Airport, where sports cars raced in the 1960s and 1970s. SVRA pays homage to those earlier races with this invitation-only event, with race groups ranging from pre-war cars up through the 1980s. Among the 250 entrants expected at Fernandina Beach will be Ross Bremer racing his 1967 English Ford Angelia Super – the same car he originally raced on the Fernandina Beach Airport during the 1968 The Gold Crown Prix. 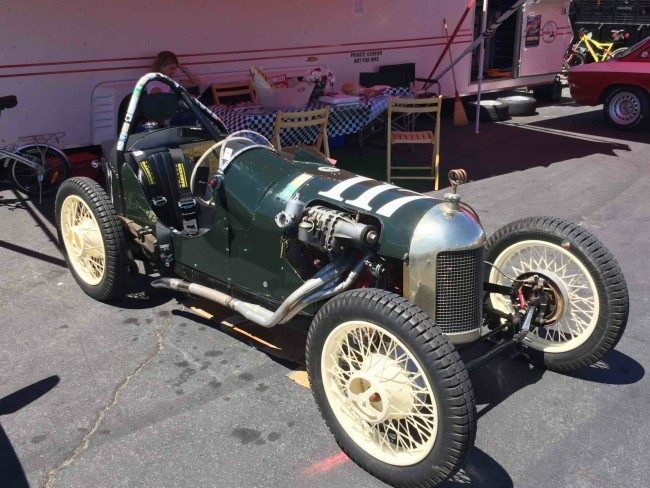 The weekend not only promises a huge gathering of race cars but also some of the finest privately owned vintage and historic collector cars will be staged on the Amelia River Golf Club, next to the race track, for the Show and Shine car show. Multiple vintage airplane flyovers, and vintage motorcycle demonstrations are on the schedule. Race fans and car enthusiasts can enjoy the cars, meet the drivers, and enjoy participating in the unique racing history of airfield auto racing. Volunteer opportunities are available, contact Ralph Thomas 904-557-5502. About SVRA – The Sportscar Vintage Racing Association is the premier vintage racing organization in the United States. Founded in 1981 the SVRA has over 2,000 active members. It will sanction 16 events in 2016 at some of the finest racing venues in the United States, including: the Indianapolis Motor Speedway, Sebring, Road America, Watkins Glen, Auto Club Speedway, the Mid-Ohio Sports Car Course, Sonoma Raceway, Portland International Raceway, NOLA Motorsports Park and Virginia International Raceway. 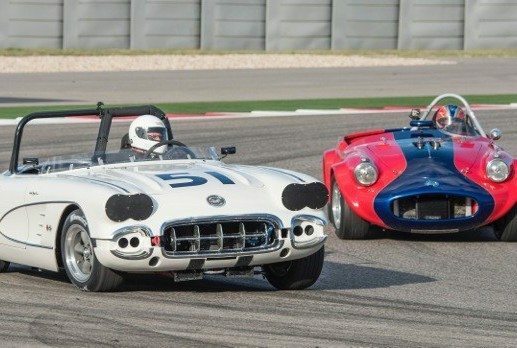 The rapidly growing organization hosted the first U.S. Vintage Racing National Championships at the Circuit of the Americas (COTA) in Austin, Texas in 2013. Further information on SVRA, a complete annual schedule, and entry lists can be found on the SVRA website. Also be sure to check our Facebook page and YouTube channel which currently boasts a library of over 190 action-packed videos of events. Yeah, we insure race cars, too! If you have a race car or another collectible you’d like to insure with us, let us show you how we are more than just another collector vehicle insurance company. We want to protect your passion! Click below for an online quote, or give us a call at 800.678.5173.